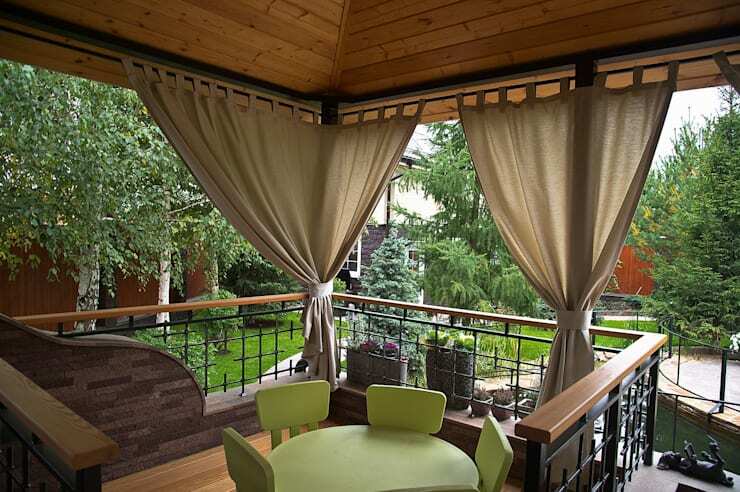 For the creative homeowner, there is no dearth of amazing ideas to beautify a terrace or backyard. Whether you've a large green space or a small one, or have to make do with merely a terrace, there are so many ways you can effectively style the space. While many people opt for flowers and shrubs, others use ornamental rocks, pretty planters, and creative lighting to decorate their outdoor area. 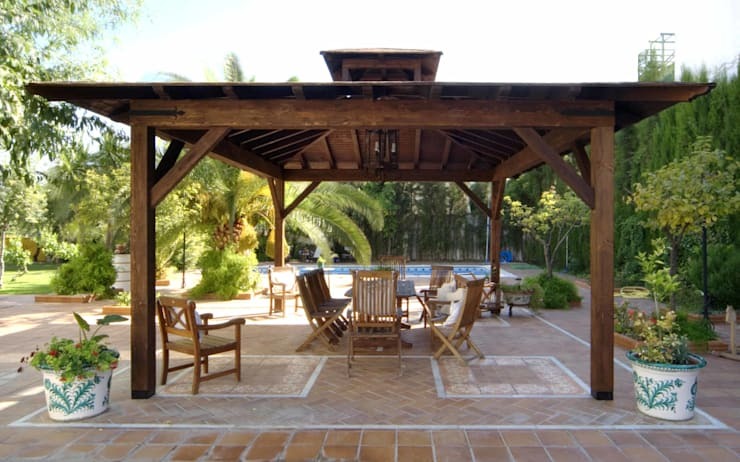 Another wonderful element to add to your garden or terrace is a pergola, which will instantly create a cosy oasis in which to read a book, sip a beer or even have a get-together with friends and family. In need of some outdoor inspiration? Let's take a look at these 12 pergolas for some brilliant, creative ideas! 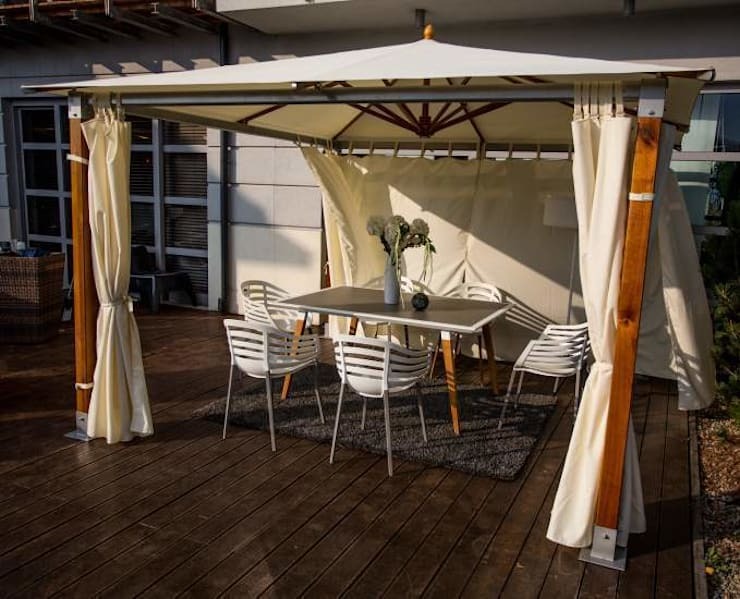 This tent-like pergola provides curtains for privacy, as well as slim railings to demarcate the space and add pleasing aesthetic detail. Opt for this easy-to-install piece with its steel rods and frame which can be set up anywhere, anytime. 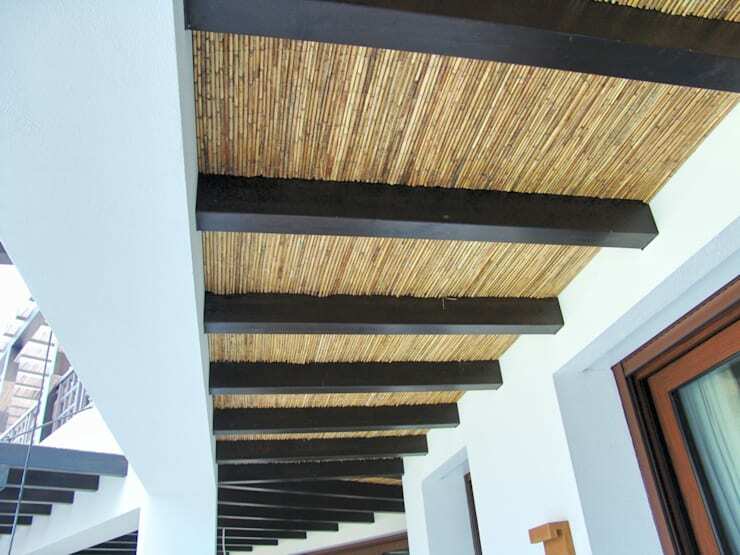 The pretty fabric that acts as the roof and walls can also be washed regularly, while outdoor seating is added below. The latticework on the trellis-like walls of this arched pergola makes for a charming look, perfectly offset by the rattan seating underneath. 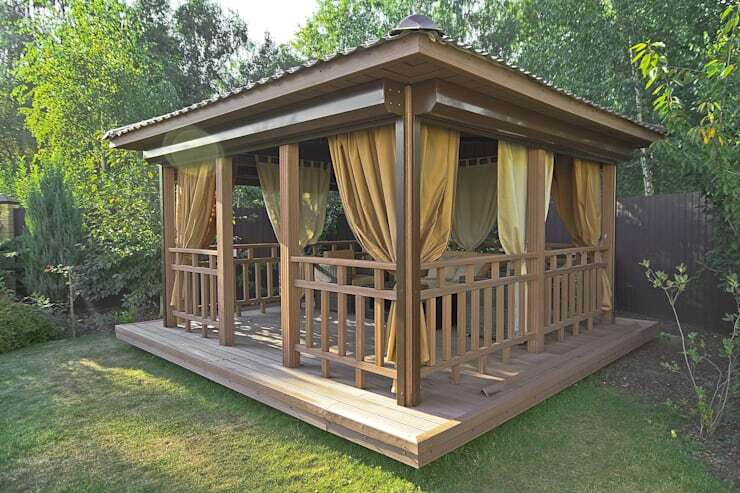 This pretty pergola is finished with a rustic peaked roof, delicate draped curtains and a simple framework fence through which the garden can be seen. 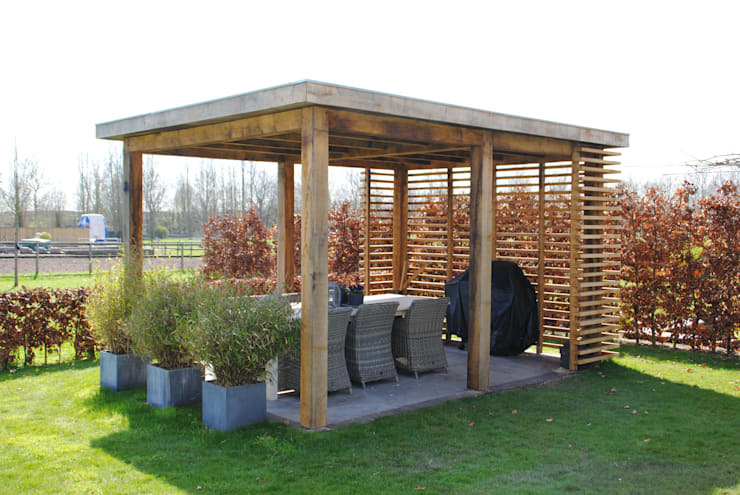 The designers have used one corner of the garden and added a simple wooden roof, creating an instant pergola with minimum fuss. 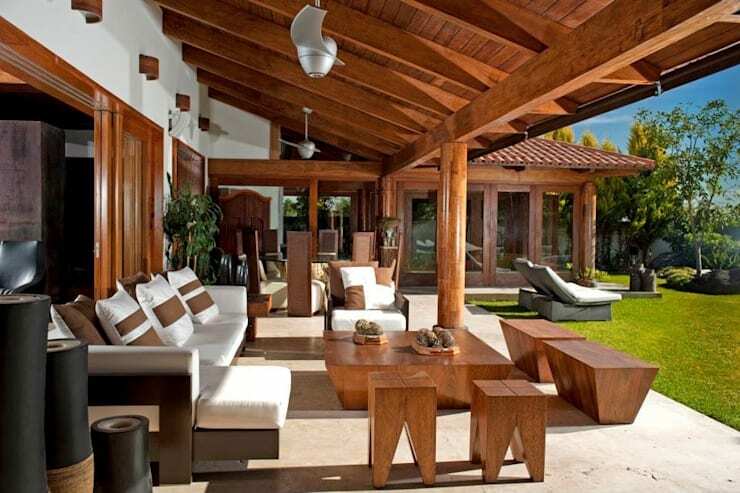 Here, sloping wooden beams create an adjoining pergola, complete with solid furniture to allow unhindered outdoor time. 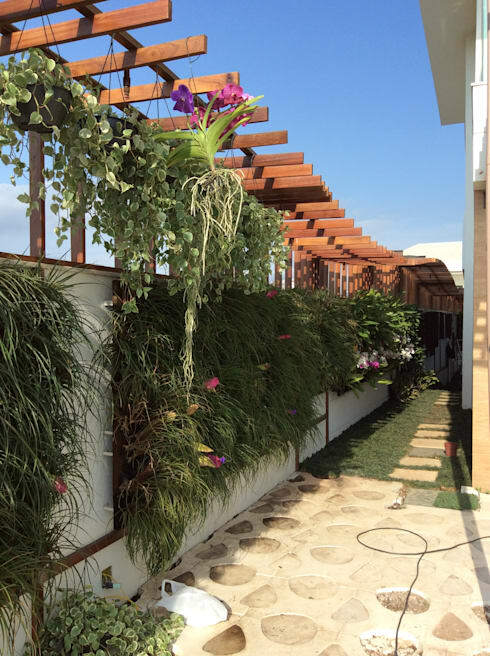 Sleek horizontal slats on one side, paired with raw timber columns on the other, make this an impressive urban pergola flanked by robust planters. The alcove in this home could have gone to waste, had it not been for this neat design intervention. 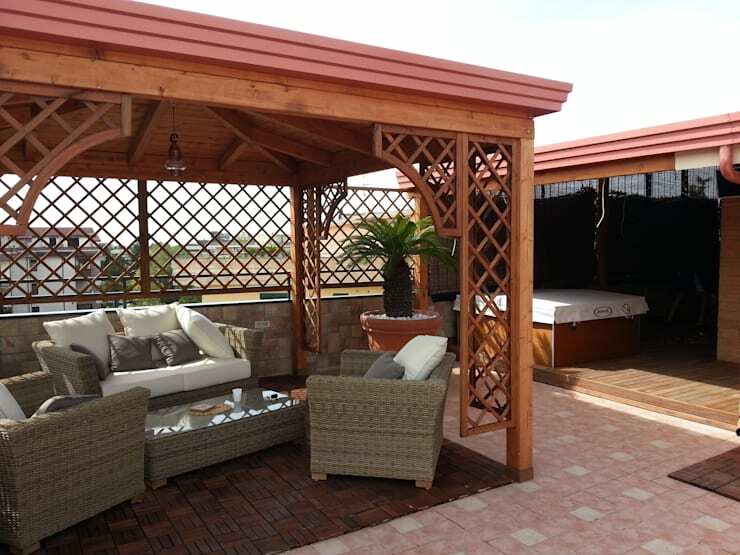 The architects have created a simple patio here, which doubles as an in-built extended pergola for the home. 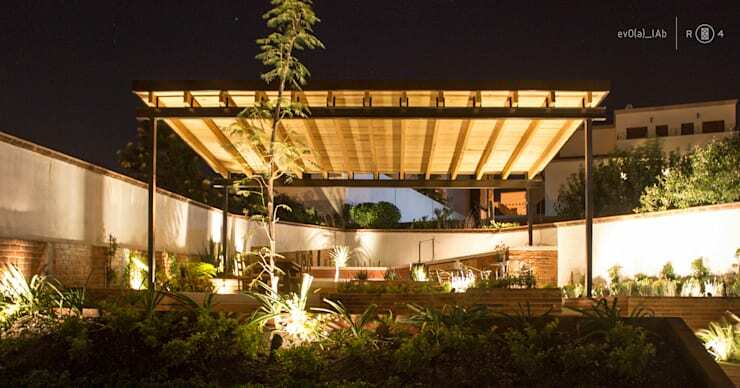 This slim pergola runs along the side of the home and creates a delicate green space. It's the perfect way to immerse a small outdoor area in flora and shade. This pergola has a wholesome, rustic finish, replete with repurposed wooden beams and a smooth stone floor beneath. Feeling peckish? 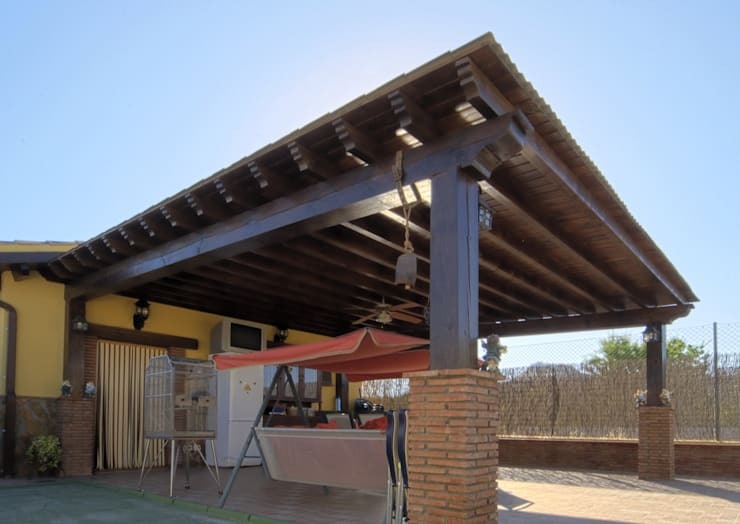 A barbecue or grill under the pergola will increase its functionality tenfold! 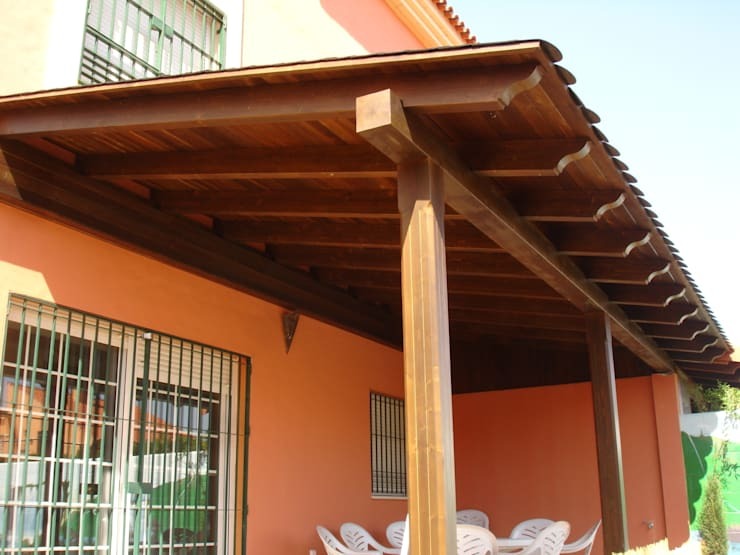 To accommodate this, the pergola will need to be slightly larger with a solid base below and robust beams overhead. Layer the beams with bamboo and other breathable materials for the perfect balance between rustic, eco-friendly and urban. We hope these pergola ideas have given you inspiration for your outdoor space! For more ideas, don't miss: 10 perfect terraces for lovers of relaxation. Which of these pergola ideas is your favourite?